It’s no secret that music’s biggest stars rake in the dough. Between selling out stadiums and getting billions of Spotify streams, the Biebers and the Beyonces of the world make millions, perhaps deservedly so. However, the gap between music’s biggest stars and their fans – people in average jobs – remains vast. What takes a nurse or an engineer an entire year to make can be earned by a top musician in a matter of hours. In light of Oxfam’s recent inequality report, we felt that this massive income gap was worth studying. To do this, we made a list of of 2017’s top earning musicians according to Forbes. The list was filled with names most of you will recognize – Diddy, Beyonce, Taylor Swift, Calvin Harris, Justin Bieber, etc. Next, we made a list of some of the most common professions in the US along with their median wages according to the BLS. We then calculated how long it would take a top musician to make the same annual income as it would in a common profession. The immense financial rewards of being a successful musician. The incredible income gap between average professions and music celebrities. For example, at $105M in total 2017 earnings, Beyonce would take just 75 minutes to make the average annual median wage ($15,080). The data is both inspiring and sobering. What do you think? 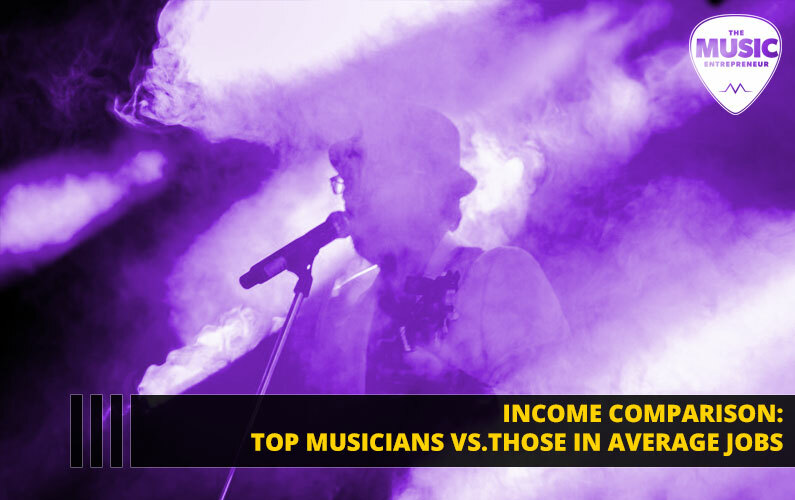 Are the incomes made by top musicians justified? 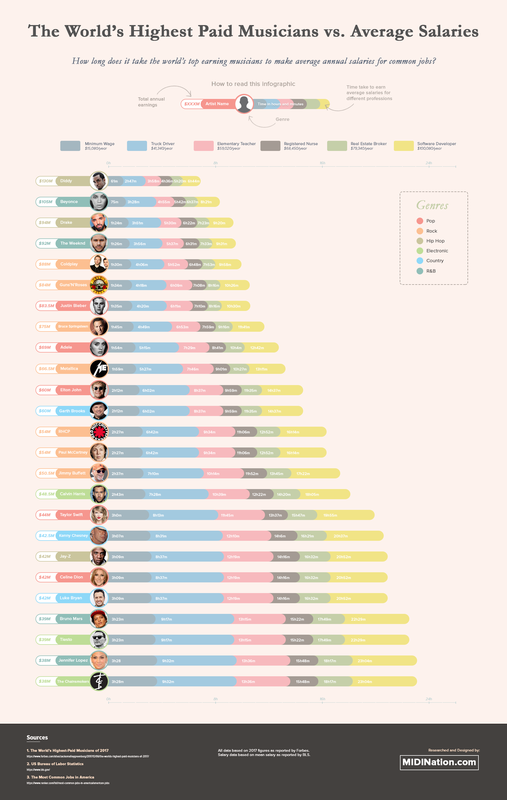 How long does it take for your favorite musician to make your salary? Ryan Harrell is a B2B startup marketer turned musician. After years of helping businesses capture leads with content, he quit to follow his lifelong music dreams. He currently helps musicians find the right audience and tools at MIDINation.